With longing hearts and hungry souls, we come again to the table of God, the table of the shewbread, where God has ordained for us to have the wedding feast. In Luke 22, Jesus Christ sent His disciples, and He said, “You go into the city and you will see a man carrying a pitcher of water. Follow him and he will lead you to the place where we shall have the feast tonight.” God speaks of a time in the history of the world when He would have a feast with His people, and the children of God would feed before the “midnight” hour, that they might have the strength to go through the midnight hour; and we call it “the wedding feast” (Refs: Matthew 25:1-10, Revelation 19:7-9). For a long time, we have been beckoned to this feast. For a long time God has been calling men to feed upon the “living” word. Hallelujah! No longer a “denominational” word. No longer a separating word, for when you take some messages they divide you and they separate you from the people of God. God is bringing a united people, and the people must be united at the meeting place. There is only one meeting place in God and it is in Christ Jesus. Hallelujah! No man can say, “I know God,” and then he has his own thing going and he rejects Christ. Christ is the BODY OF CHRIST! In other words, Christ, in the eternal heavenlies, is that part of God that was the Second Person of the Godhead. For myself, it is (1) my spirit, (2) my soul, (3) my body; and it is: Father, Son, Holy Spirit— (He was the soul). Amen. He came down and He dwelt in a human body. Now, the question is, “When Jesus was in the human body, was He also in heaven?” Yes! In John 3:13, it says that He was there standing before the brethren, and He said, “And no man hath ascended up to heaven, but he that came down from heaven, even the Son of man which is in heaven” He (the Son of Man) was standing there as He said this. God is able to be in a man (to be in us) and at the same time be in heaven. Amen! This is the reason why we have Christ. Amen! He said, let him “open the door,” so then, it is not God just pouring in where He is not wanted, but He is coming in if you ever “open the door.” The reason why we begin the meeting with some songs is because sometimes the minds are all taken up with things outside, and when we begin to sing the same thing and all of us are singing the same word, we become one in our presentation before God. Amen! We become one, and so God is able to come in. As you open your door, He comes into your heart; and without an open door God cannot come in. Many of us have just barely cracked open the door and God has to be squeezing through. But God says, “Open WIDE your doors.” Open the doors and let the Lord God come in; and when He comes in He is not going to stop coming in. Amen! He is coming in, and He is not going to stop coming in while you keep opening the door, and it will get so big that it will begin to flood out of you. Amen! He is telling us here about a certain period of time. God’s divine appointment with man is that He made a measure of time, and the fourth measure is to bring us into God. Not into Christ, but into God. In the third measure, we come into “Christ,” where Christ covers us. However, in the fourth measure, we lose all human operation. It is where we cannot anymore keep “church.” Where we cannot anymore set up plans. Where we cannot anymore do anything; but that God has His plan and now we are only going with God’s plan; and that is the time when man joins with “the heavenly host.” Now, I am not talking about when we die, but I am talking about a time on the earth when we will be joined with the heavenly host, with all the brothers who have gone on before; and we will work and move with them in great spiritual power such as this world has never seen before. 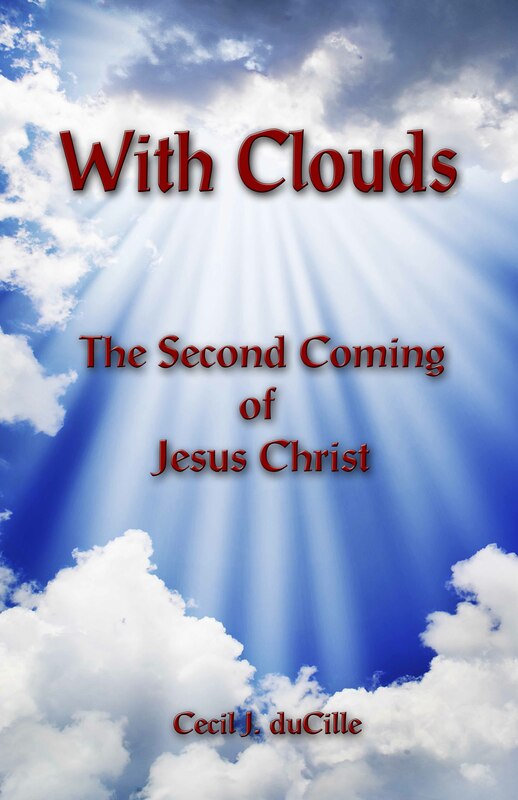 Now, he is not talking here about all things in heaven and on earth being gathered together “up there” (in heaven), but He is talking about the time when “heaven” will be coming down and being with us, and we will all be together with Christ. All the people who are in Christ in the heavenlies will come down and be with us. Amen! Now, when you say “up,” it is strange that somebody believes that somewhere up there in all these planets, that there is a little heaven there where Elijah is sitting down in a golden chair. Do you believe that? Then, if you do not believe that, what do you believe? Where is he? It is so very peculiar that when I asked God to explain these things to me, He showed me the radio and He showed me the television. Right here in this room there are radio signals, that if you got on that frequency you would hear a lot of noise and a lot of things going on. God, however, fixed us so that we are on a different frequency level, so that these things do not disturb us. If God had put our ears on a radio frequency level, then you would hear all the radio waves in the world. You would not hear anything else. It would kill you. Then, also, there is another higher frequency that they have the television on. The television waves are bringing pictures and activity, so that right now here in the room while we are worshipping God and while we are having glorious quiet time before the Lord, there is a lot of noise going on in here. However, we cannot hear it, because we would have to go “up” into that frequency to hear it. Our ears would have to be tuned higher to hear it, and thank God we do not have that sickness! Amen? Now, when we are talking about God, we are talking about someone who is on the highest of the highest frequencies. A frequency that is higher than we are able to even conceive. To deal with us then, God has to come “down.” Are you understanding what I am saying? God saw that to live in the world, in the natural frequency in which we are, we have to have one part of us (our body) that is on a low frequency, so that when I press here like this, the thing stops the movement of my hand. Amen! However, if I got on a higher frequency, and I did like this, my hand would go right through it. Amen? So, God gave us a “body,” and in this body we can enjoy everything in the world, because they are on the same frequency with us. Then He gave us a “soul,” which is on a higher frequency than the body. As a matter of fact, we are the soul (Refs: Genesis 2:7, 1 Corinthians 15:45). We only live in a body. So, it is like a man living in a house. Some of us—our houses are pretty; and some of us—our houses are not so pretty. However, the man “inside” is the one that carries the beauty and is the one that God sees. So, therefore, you can have a beautiful man in a not so beautiful house; and when we look at him, we judge him by his house. If you are carnal, you will judge a person by the outward, but God says He does not look at the outward, but He looks at the heart (Ref. 1 Samuel 16:7). Amen! So, if the outward man is not pretty, make sure that the inward man is pretty. For the inward man is the man, and God made man in His own image, and it says that God breathed “the breath of life” into him “…and man became a living soul” (Ref. Genesis 2:7). He never said that man became a “body.” He never said that man became a “spirit.” You have to understand, though, that a soul is a spirit. So, therefore, some of the brothers, in teaching about the spirit, soul, and the body, they mistake it and they get into the Scriptures and show you wherein you are a “spirit.” Do you know why you are not a “spirit”? If you were a spirit, you could not be lost and saved, because your spirit is not lost. Your spirit belongs to God. Your spirit will return unto God (Ref. Ecclesiastes 12:7) regardless of whether you are saved or not. Hallelujah! open up to God is the less sickness that can dwell in the body. “But if the Spirit of him that raised up Jesus from the dead dwell in you, he that raised up Christ from the dead shall also quicken your mortal bodies by his Spirit that dwelleth in you” (Ref. Romans 8:11). So you need to learn how to open up to God, and you need to practice opening up to God. To open up to God, you have to start praising God. Amen? Now, somebody does not understand. They say, “What kind of God is this? He just wants everyone to praise Him and to say, “God, You are good. You are wonderful.” That is not what He wants. God wants you to begin to really think upon it—how glorious He really is, and what magnificent machinery He has made, and what glorious things God has done. To say in your heart, “What is it, God, that You want? What is it, God, that is precious to You?” When we open up to God we receive the inflow of His blessing. I know, however, what it is that we would consider precious to us right now. A million dollars! If you should get a million dollars, you would leave the service immediately. Amen! I cannot see you sitting in the service if you just heard that you got a million dollars. Your mind would be shipping out and going off. So then, we know the things that are precious to us, but the things that are precious to us are not lasting. They are no good. In my life I have seen some weird things, and I really understand the scripture (Ecclesiastes 1:2) when it says, “…vanity of vanities; all is vanity.” It is all nonsense! No matter how rich you are, you cannot wear more than one suit of clothes at a time. You cannot eat more than a belly full; and most of the rich people cannot eat. They cannot sleep. Don’t you see then that it is just a mockery? A mockery! I have seen men kill other men for money. Men putting men in prison, fighting them over ten dollars; and then dying and leaving millions. What kind of nonsense is that? The point is that you are going to die and leave behind the very thing you are fighting for. It is no good. You cannot take it with you. That means to say that we have not yet seen Jesus. We have an idea, but we have not yet seen Him. As a matter of fact, we do not have eyes that can see Him. In order to really see Jesus, we would have to get up into such a higher frequency, that it would be something from which we probably would never be able to return. So then, if you can understand what I am trying to show you, it is that God has had a plan from the beginning. He wants to have “Sons” (“huios” in the Greek; “sons”) (Ref. Romans 8:14). He wants to have people who are like Jesus Christ Himself (Ref. Romans 8:29). He said that He shall bring, “… many sons unto glory” (Ref. Hebrews 2:10). This is God’s basic plan, and everything that we do to frustrate that plan goes against God. Now, let us go back to the thought that I gave you there about the healing of the body. You know, while we were praying for the people who are sick and all that sort of thing, it occurred to me that we were really praying for the wrong things. Yes! Sure, you are sick. You want to be better, but that is not the great thing. That the glory of God comes forth through your sickness, through your problem—this is the end product that we want. This is what is greater than everything else. So then, when we pray for people who are sick, we must begin to pray for them that God Almighty will manifest Himself through that vessel. Amen! Furthermore, if God begins to manifest through you, do not tell me that you can get sick. You cannot be sick, for if the power of God comes into you, it will heal every part of you; and this is something that we are coming to here, and what we are going to read about in the Scriptures. Learn to open up to God! You do not have to bring God into you, but you just open up and God will come in. Now, let me explain something to you here. You cannot have God come into you if there are things in you that are against God. In other words, to have God, to get God, to open up to God—do you want to know how to do it? Do you know what happens when you do that? The anger is broken in you. The spirit is hit! He slinks off. Furthermore, this is not all that happens, for the same spirit was in your brother and the same spirit was in your father, and the same spirit was ministered to somebody over there; and what happens is that those people immediately get released! Yes! Yes! Yes! Amen! I was one of the worst ones in my family. They used to call me the Murderer, because if I go to fight, I will go to kill; and that was terrible bad. It was wicked. However, when I got saved, all of them got released. I was the first one in my family to get saved. I was the first duCille that I had ever heard of getting saved. Amen! The next thing that happened is that others in my family started being saved. My sister! My brother! Aunts! Uncles! All the people who had that spirit ministering death to them—they were hit. The spirit was hit and they were delivered, and the deliverance still goes on. Never make any excuse for anger. Anger is of the devil. Some say, “Be ye angry and sin not” (Ref. Ephesians 4:26) as an excuse. Now, when the priest goes before God, he has an onyx stone on his left shoulder with six of the names of the twelve tribes of Israel on it; and on the right side, he has another onyx stone with the other six names of the tribes of Israel (Ref. Exodus 28:1-12). When he goes before God, he kneels down and he says, “Forgive our sins, Oh God.” He brings the whole of Israel before God. That is what the meaning of “priest” is. God said, “I will make of you priests and kings. I want to make of you a nation of priests” (Refs. Exodus 19:6, Revelation 1:6, 5:10), so that when you go before Him and say, “Save them, Lord God,” God saves them! So then, when you go before God, your whole family is going before God. Can you imagine the disservice that you do them when you do not behave right before God? For God is depending on you “…to set at liberty them that are bruised” (Ref. Luke 4:18). God is depending on you to bow down and to present them before God: “Oh God, I present before You all my blood line.” Then it goes further, and you begin to present the sons of God, the people of God, before Him. Amen. One Sunday morning, many, many years ago, we were in West Palm Beach. We were having a service and one of the young men who belonged to the church was a basketball player, and his team was playing that Sunday. So, while we were in church, he was out there playing; and somebody ran into the service just as I was about to preach and said that John broke his leg and they have rushed him off to the hospital. The next thing, the Spirit of God said, “Let everyone arise,” and we rose up. By the time John got into surgery, he had no broken leg. Amen! God is just trying to show us what we are dealing with. We do not understand what we are dealing with! The magnificent power of God is here in us, and God wants to make you His temple. Amen! The healing is only by the way. Believe you me, whatever we are praying about, it is only by the way. God’s plan is to make you His temple, and if God can bless your heart and your life by healing, He will do it. The boy was dumb. He could not talk, for he did not even have a tongue. However, if the boy is dumb, he would not know what to say. When the boy talked, everybody got so shocked and so frightened, and when we opened his mouth there was a new tongue in his mouth. God Almighty created a new tongue right before our eyes! It did an eternal work in the hearts of those who saw it. God created a new tongue! Why did He do it? Somebody guess for me, please? Why did God do that? Yes! “To the glory of God.” It was not so much to heal the boy, but it was to heal the whole work in that area. That boy is a man now, and to this day he is walking up and down, talking; and he is chatting and telling everybody how God gave him a tongue. Furthermore, those who were against the Gospel there and who were saying that we were sorcerers, and that they were afraid of us—it shut their mouths. We came into Illinois here, and we were having a meeting in Sister Hillman’s house out in Farmer City; and a lady came in. They brought her in, and her knee was this size…. Swollen! Pain! Black and blue! She had run her car into a post out on the highway, and the car came in, busting her kneecap in three places and busting her shinbone. Now, that is simple. That means that God did it. He wanted to do it. Amen! Nobody else did it. Anybody who prayed for her, she would have been healed, because God had a plan for this area. Well, we laid hands on it and prayed for it, and the pain was still there. They took her home, but she got up and danced! She danced around the room! The next morning, her niece came and she said, “Brother Ces, you know she is very excitable, and when you prayed for her she danced. But the leg isn’t healed. It is killing her with pain, and her husband is threatening to take you all to court for false teaching,” and this sort of thing. “Who is a God like He? Who has pardoned my iniquity. And passed over my rebellion. So, what kind of God is this? God deliberately healed her bones and then left the flesh unhealed, because He wanted to test them. When she went home and told her husband what the doctor said, he hit the ceiling; and he was calling his lawyers to prosecute us, and what not. He rushed her off to another hospital, and they took the X-rays. It is speaking not of the sabbath day rest (Ref. Exodus 31:15), but of the rest that we find “in Christ.” The Holy Ghost, therefore, came in to give us rest, and to give us peace, and to give us Christ. It is very simple. God is talking about the Spirit of God flowing out of you with such a force that it is going to do something out there. This says that these waters are going to heal the “desert.” They are going to heal the dry places of the earth. It says here that these waters are going heal the “sea.” What does that mean? It means that it is going to go out among the sinners. From Revelation 17:15, we can see that where it speaks here of the “waters” of the “sea,” that it represents “…peoples, and multitudes, and nations, and tongues.” That means that it could not be saying here that we will be taken off to heaven, but it is saying that it is going to go down to the sinners and it is going to heal them. It is going to heal the “sea.” The vast “sea” will be made into fresh water. Remember now, we are talking on three different dimensions. We are talking first on the natural dimension, where we can understand; and then we go to the spiritual. Now, the spiritual meaning of what God is saying here is that the sinners will be healed. We are talking here about this millennium. This millennium, where in the natural the lion will lie down with the lamb (Ref. Isaiah 11:6), and in the spiritual, the spiritual lion will lie down with the spiritual lamb. Is that plain? Amen. “Come follow Me, and I will make you ‘fishers of men’ ” (Ref. Matthew 4:18-19). So, here we find that the waters coming out of your belly (out of a cleansed soul, out of a regenerated soul) will bring LIFE to the dead waters around you! Hallelujah! Oh Hallelujah! “Withersoever the river shall flow, everything shall live. Shall then make all of us one. This river shall flow from above into the valley and plains. Everyone flows in this great stream of God. Praise be to God! God is talking to us about something for “now.” You know, sometimes we preach for “yonder,” but now we are talking about “now.” God is saying that He is now pouring forth His Spirit “upon all flesh,” and that if we will open our hearts we will receive that flood and we shall flow out! Amen! First of all, we have to stop allowing “self” to come in. Many of us want to minister so badly that we go out ministering without God. He said, “Because you want to slay my firstborn, I will destroy thy firstborn.” Amen. That night, the death angel came in. All the AIDS people live there, and it is just death all along. Everybody on that street, they seem to congregate and live there among themselves, and die; and they take them out silently every day. Do you think it is just that street? Do you think it is just Africa? In America, Death has begun to put a stranglehold on certain sections of the population. In San Francisco and in certain places in Miami and other places, Death has begun to put her stranglehold on them. Do you know why? AIDS! They refuse to give up their carnality. Amen! Their lust! They are let loose with lust, and AIDS is the payment! I am speaking the word of God, in total love and understanding. Do not say that Brother duCille is preaching death and destruction. I am only telling you what is around you. It is all around us, and our children have been sheltered by the church. Many of us have been sheltered. Amen. I have known many of you from the time you were little babies playing on the floor. Some of you who have children now, I knew you when you were born and from when you were playing on the floor—and you have been so sheltered! You do not know what is going on out there! You do not know the Death and the Hell that is outside there! Amen. Then also, some of you young men look out there sometimes and you see a pretty girl walking along, and you feel that, “Well, you know, probably I am missing something here. I probably could go out there and have a good time with some of those out there.” I am telling you brethren, that “Death” and “Hell” are let loose in the earth and they haven’t even picked up speed yet! Brethren, I am begging you for God’s sake to understand that you cannot any longer just go out there and pick up any girl and marry her! You cannot go out there and pick up a boy, and say he is fine and he is so lovely, and go and marry him. You are playing with death! Amen! YOU ARE PLAYING WITH DEATH! I remember a story, which was so heart rending, of a beautiful girl in the church. She loved the Lord and she was in the church, and one day she saw her friends from school going and having a “good” time. She figured, “I am not having any good time. I have to be just going to church every day,” and so she decided to take a chance. A young man came; a fine looking young man came and told her how he “loved” her; and she believed his lie. It was a lie. They cannot love! Anyhow, he told her how he loved her, and she went out with him and got involved in sexuality that night—the first time in her life. She died! He had AIDS, and she got the AIDS. Amen. He was to her the angel of death; and the angel of death is out there waiting for many who might reject God and embrace the world. It is not a story that is unusual. It is happening day and night. Nobody, however, is talking. They say that if you see somebody with AIDS and you talk out about it, that there are circumstances where they can arrest you and put you into prison. Amen! I am telling you that they are saying now that about every four out of ten people have it; and the worst part about this thing is that most of those who have it do not even know that they have it. We have come to the point of time when every unclean person, every promiscuous person, will get AIDS some time or the other. It is a geometric progression that is going on out there. One gets two. Two get ten. Ten get twenty— forty—fifty—sixty—and it is just exploding! It is an explosion, and it is destroying; and the shelter that we have is in Christ Jesus. Amen. Hide me, Hide me, Hide me, Oh God! HIDE ME, MESSIAH! That is what I am seeing before me, I see people “Hiding in God”! Our only hope and our only way of deliverance is HIDING IN GOD! Amen! The church said, “The Bible says you are supposed to obey him. If he has another woman, you are supposed to go along with him. Whatever his condition, you have to go along with him.” That is not true! No Bible tells you that. The Bible tells you to submit to Jesus Christ. The Bible tells you to hear God and to let God tell you what to do. Amen! If the situation is that Christ is not the head of the man, then there are certain times where if the woman obeys the man then she would be disobeying Christ. For example, where the man says, “Let us go rob the bank,” and she says, “Well, I have to obey my husband. Give me the gun.” She is then as much guilty as he is. So it turned out that she came to me, and I advised her. I begged her, “Have nothing to do with that man!” She, however, went back to the church, and the church told her to go along with her husband. Sometime after this, we went there and she and her husband came. He looked like a dog that was whopped. He just hung his head. She took him to the doctor, and the man had AIDS. He was at the last stage, and he died. I am saying, Brethren, that “If we ‘walk in the Spirit,’ we will not fulfill ‘the lusts of the flesh’ ” (Ref. Galatians 5:16). Amen! We “walk in the Spirit,” and this is the only way you are going to be able to save someone like him. Amen! If you have a husband that is getting wild, the only way you can save him is to withdraw your body from him and put him before the throne of God. However, guess what? You have to have some kind of a control. If you are full with lust, if you are filled with desire, then you are a goner. This is why the time in which we live is so dangerous. Amen! You have to control your body! You know, a lot of the young people believe, “Oh boy, I have a problem here, you know. I had better get married.” If you have a problem, keep away from marriage! Yes! Do you have a problem with lust? Then do not marry before you get rid of the problem! Marriage is not a cure for lust, because, whereas you think that you can hide your problem in marriage, you are actually dishonoring that sister—who is the temple of the Living God—who is a son of God— who needs your care and your help. Furthermore, you are using her to satisfy a lust that should have been murdered and killed and put aside. Amen! Then, will you come into the house of God now, and show yourself as a very spiritual man now—because now you have “no” problem? You are putting all your problems on your wife! I wonder if you understand what I am saying? When you get married, you find out something the first night that you go home and your wife has a headache. God is saying to you that this is not what marriage is for. Marriage is that two souls might come together in the Lord and bring forth righteousness; and the glory of God comes down in your bedroom. Amen! Some people’s bedroom is the place of the devil! It is the place where they commit all their carnality. It is not a place of worship! Amen! Jesus! God is saying clearly to you today that the Spirit of God is not pleased with a people who will not open up the door wide enough for Him to come in and to heal that lust. Who will not open wide enough for Him to come in and put that “coal of fire” on that lying tongue. Amen! He cannot wait any longer. He will cast you into a bed of languishing, so that you might call upon the name of the Lord! Hallelujah! Do you know what He did? He smote me immediately with pneumonia. I began to vomit blood. I said, “Thank you, God. Now You have a chance to kill me. Do not let me loose, for I am not going to live any longer with sin coming through my mind! When I look upon a girl, I begin to think lustful things. I AM NOT GOING TO LIVE WITH IT ANY LONGER!” Amen! I lay down there for the whole month of April. I came down to such a condition that my eyes sank down in my head. I could not raise my head off the pillow. I could not move. When I coughed, my whole body would convulse and actually come up off the bed. Amen! They had to hold me down sometimes. I said, “Don’t touch me. Do not give me anything to eat. Do not give me any liquids, no water to drink. I must die!” I put God to the test. Amen! God did not want me to die. In May, He came to me and He said, “You are healed.” Just like that! He came and showed me a chart of how I was doing. He said, “Now, this is the top of the hill.” Amen. Now, the place where I was, it was a house up on a mountain; and the same day there was a knock at the door, and my brother Frank came in. He said, “I have been hunting for you all over. God sent me with this to give to you.” It was a bottle of cod liver oil and malt. Finally, he asked and asked and asked, until he found me up in that mountain. Now, those were the first things I ate, and it began to heal my body and my health began to come back. But, I want you to see the determination that I had that, “I will not live with a demon!” Do you hear me? Some of you live with the demon of lust. Some of you live with the demon of anger. You like him, you love him, because he makes you powerful. But I say that the temple of God must be free from every demon of anger! Every one of you here who have anger in you, that you can get up and feel bad and carry on—You must get rid of it now, or else you will not be among these people in the dispensation of the fullness of time when God shall gather together everything in Christ. Do you think Christ is going to have the trash in Him that we have in us? WE HAVE TO GET RID OF IT! How else are we going enter? Don’t you see what I am saying? God is saying to the church, “Break up your fallow ground. Sow no more among thorns.” “Come, My people; come up higher. Come into My rest,” and the only way to go is to open up the door to let God do what He has to do. Amen. God is going to have to work His righteous work of deliverance in us by His Spirit. Amen! Christ” (Ref. 2 Corinthians 11:3). Amen! This does not mean that you will lose your active mind, but it means that God will take charge of the intellect. God is saying that His people have dwelt too long in Babylon, so they began to take on the ways of the Babylonians; and the spirit of Babylon is contrary to the Spirit of God. The spirit of Babylon will mix religious things together with the things of the world and with the intellect. The worst thing you could ever do is to have a man preaching the Word of God to you who is preaching from his intellect. Amen! Let me tell you something, though. Sometimes you are blessed by some of the knowledge that he brings. You are blessed by some of the Bible School knowledge that he brings to you. It becomes a blessing to you. Now, you could use it to glorify God, but he is not glorifying God, for he is only spouting his knowledge. It is coming from a different place. Babylon is totally destroyed! God told me many years ago that there is a bomb planted in the church, and that this bomb will explode “on the 20th.” Now, I do not know when the “20th ” is, but what I do know is that something is happening. (Can you imagine a slow explosion?) You know, we are used to “BOOM!” and that is what I saw in the vision. It was a blast that tore the church to pieces; and a fire consumed them, and the roof went up! The roof was made of big, heavy logs. (You know—like the logs they use to make log cabins, when the loggers split the logs in two. That is what made up the roof.) The roof went up with a ball of fire under it, and then it came back down like a tomb. So, I had this vision, and all I knew is that God had told me that He was going to destroy the church system. Now, He was not talking there about the churches that did not have the Holy Ghost. He was talking about the charismatic church that is prophesying lies. We have to be careful about prophesying lies, because I am telling you that the “spirit of divination” (Ref. Acts 16:16) is a spirit that is very, very, very close to the “spirit of prophecy” (Ref. Revelation 19:10). Divination is Satan’s answer to prophecy, and I know that it is not everything that I hear and that I see, that it is God. Oh yes! Have you ever heard the devil? All those who hear the devil, lift up your hands? Let me see you. I can see from your response that a lot of people here seem to be hearing the devil. The devil seems to be talking to a lot of people. Well, let me tell you, if the devil never talks to you, you do not know God. Yes! If the devil never talks to you, you do not know God, you have never heard God, because you must be able to differentiate between the voice of the devil and the voice of God. So, how are you going to differentiate between these two voices when you have never heard the devil? That means probably that it is all devil that you have been hearing! Then he heard the sound of an earthquake coming, and again it said, “…But it was not God.” Then, he saw fire; and he thought, “This is fire, you know, so surely this must be God!” He saw fire coming, “…But it was not God,” for it disturbed him inside. Do you understand me? It disturbed him inside, and he knew it was not God. Then he heard the “…still small voice.” His heart was satisfied, and the Bible said that he pulled his mantle over his head and came out, and said, “Yes, Lord.” The voice sounded, and he knew it was God. All of a sudden, I realized that it was a wrong in me! There was an opening in me for the devil, and do you know what the opening was? It was the desire to prophesy. The desire to prophesy! Of course, God had already been using me, but I wanted to be greater now. I wanted to go into the congregation and to be able to tell the brethren all about themselves and what the Lord had shown me about them. But guess what? God’s mercy saved me. God’s mercy saved me. However, it did not save the prophet that we had in the church. It did not save her. Actually, it was three girls that prophesied in the church, and two of them began to prophesy lies and then the other one got up and prophesied against what they were saying, and it brought such a confusion that the church was torn in two. What happened is that after the thing that happened to me in my room, I went down to the church, which was seventy miles away. I am telling you about “false” prophecy. How does a true prophet become a false prophet? How did that happen? It is very simple. You just open the door. You have a carnality, you have a sin—and you open the door. She had a jealousy in her. She would not let it go. So she is praising God and ministering, and all the while with the jealousy yet in her. She opened the door to the devil, and the devil got a chance to minister to her. by fire, and God Almighty will not allow certain things in His church! Our numbers will decrease and decrease and decrease—until God gets a pure people. Hallelujah! Glory to God! Amen! We are going to go now from this word and go into the spiritual temple that God showed Ezekiel, to teach us what God wants and how God wants us to cleanse the temple. He wants us to come out entirely from the carnal realm and to come outside of the realm of our own mind and emotions. Oh God, have mercy! For example, you cannot even say “Howdy do” to some people unless they get offended. Carnality! Amen! If I come in here, sometimes I have something on my mind, and sometimes I am under pressure, and so maybe my “Howdy do” wasn’t too good, or maybe I didn’t even greet you at all. But something is wrong when we start getting upset with one another because, “You didn’t pay me any mind.” Carnality must cease from the body of Christ! When I looked at her, my heart melted. The poor woman was under such pain and suffering. Instead of being mad with her, she wanted somebody to pray with her; she wanted somebody to love her, to have mercy upon her. “Oh God!” I just went out and said, “God Almighty, forgive me of my sins; and have mercy upon her.” Amen. Sometimes, we do not consider people, that they are creatures of God and that they are under pressure. We are here to set them free; to let the living waters pour out and to help them. We are not here to stand upon our “rights.” To say, “This is my right! You are trampling upon my rights!” God bless you, and God keep you. May the Lord God let this word get into you, and flow out of you and bring deliverance to those around you. For this is the purpose for which we were born. God wants a people who will be in Christ Jesus, to save the world. Amen! Glory to God! Oh God, forgive us of our trespasses, as we forgive those that trespass against us; and deliver us from evil. Deliver us from the evil of our own mind; and from the evil that is within, Oh God; from the evil that is without; and from “…the pestilence that walketh in darkness” (Ref. Psalm 91:6). Lord God, from the evil of my family tree! Amen! Amen! Lord God, forgive us of anger. Forgive us for allowing the spirit of Satan to minister death to the temple of the living God! Let the living waters flow, my God, and heal the land! Oh God, into Your hands we commit our lives, and we ask for Your mercy. For we are not as a people who have kept the law. We are not as those who have walked in purity and holiness, but we are as those who are in need of your mercy, God, that we might please You, who has called us out of darkness and into Your light. So, have mercy upon us, Oh God, and break our yoke. Break our yoke, so that the living waters might flow! Lord God, if there be anything in me that hinders the flow of the Living God—break it out! Tear it out! Jesus! Even unto death! Let the blood of Jesus Christ ransack all that is in me that is contrary to God! Loose! Consume it with Your fire! Amen! Thank you, Jesus. Thank you, Jesus.